Comenius evening – On the evening of Monday 31st August the Comenius club put on a final display of the trips they’d been on to the seven different countries. Playing throughout in the background we had a slideshow of photos taken during the week when the pupils and teachers from the seven other countries visited Scotland. Thank you to all those who came along and who made this a successful evening. Also to Kirsty Thistlethwaite for providing teas, coffees and cake. Project Trust Honduras Fund Raising – S6 Prefect Nikki Goldby has raised over £740 in support of fellow pupil, Calum Nelson. Calum has been selected by Project Trust to spend a year in Honduras after he leaves school and he has been raising funds to support this venture. Nikki decided to help with a sponsored haircut. Last month she had 10 inches (25.4cm) cut off and collected over £740 to help Calum on his way. She also donated her hair to The Little Princess Trust. Nikki would like to thank everyone who made a donation. A very generous gesture so well done Nikki! University visit – A group of senior pupils visited the Open Day at University of Glasgow recently. Organised by Mr Milner and accompanied by Miss Smith it is the intention of trips like to inform pupils about the possibility of Higher Education. Pupils are encouraged to consider carefully both the academic and social aspects of leaving home to study no matter what institution they gain entry after leaving school. 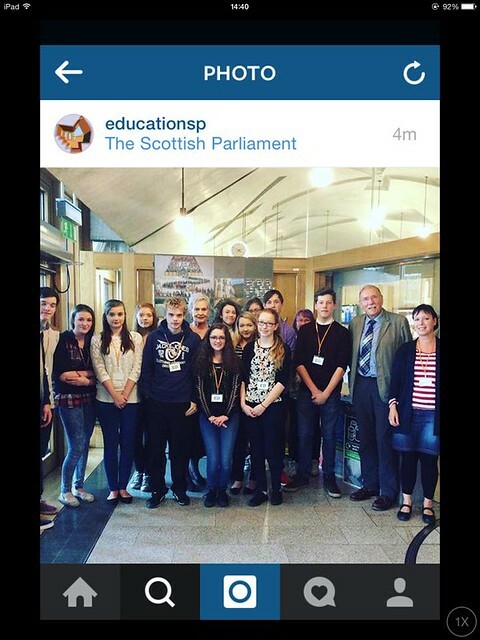 S4/5 trip to the Scottish Parliament – A group of S4/5 pupils along with two teachers travelled to Edinburgh to visit the Parliament on the 2nd and 3rd of September. During the visit to Parliament they sat and listened to the First Ministers Question Time. Some of the topics discussed included the police force, GPs in rural areas and the refugee crisis. After lunch they got a talk about the Scottish Parliament and then spoke to two MSPs, Rob Gibson (SNP) and Mary Scanlon (Conservative) who represent our local constituency. The pupils asked them questions about broadband speed and wind turbines in the Highlands as well as the refugee crisis. They got different views on these issues from the MSPs. The pupils learnt a lot from the trip and had a very enjoyable time. Caitlin Mitchell and Carys Townsend Apparently the group had been flagged up on Twitter before they even left the building. Bronze Duke of Edinburgh Assessment Expedition – On 7th & 8th September 4 groups of pupils were out in very ‘midgie’ weather being assessed on the expedition part of their Bronze Award. In spite of conditions all groups passed the assessment. The groups travelled between Dundonnell and the A832 via Achneigie and Loch a Bhraoin. You can view some photos, including route maps, on the school website. 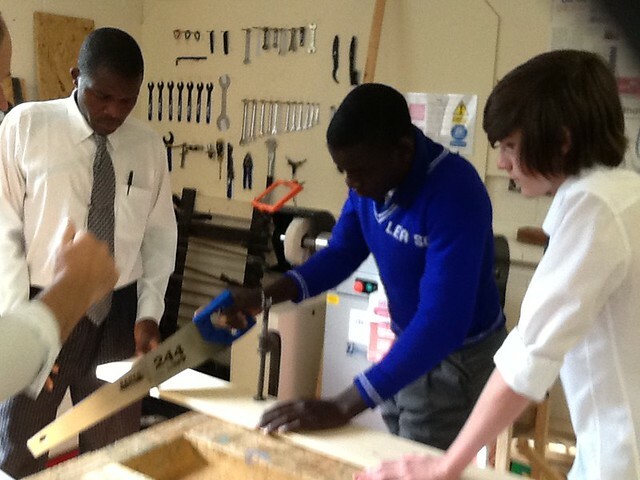 Malawi Visit – We started back with some additional staff and pupils in the school. 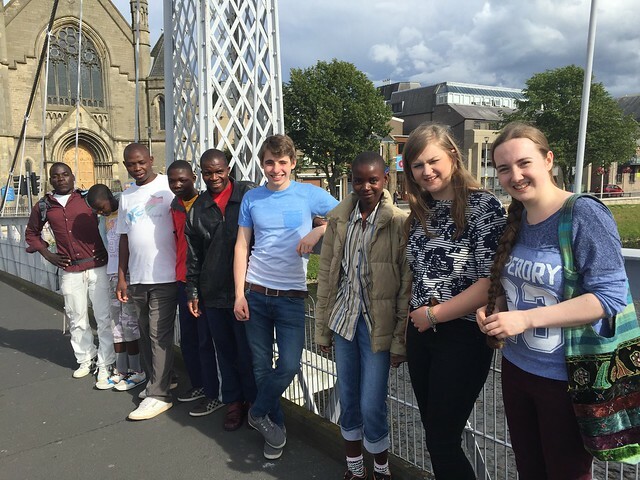 Our visitors from Malawi arrived on Friday 21st August, and by the time you read this they will have already returned to Malawi. During the period of their visit, Mr Chimtali, Mr Banda and pupils Ayisha, Aida, Samson and Abdurashid worked with our staff and pupils (both former and current) in the High School and also in the local Primaries of Gairloch, Poolewe, Bualnaluib and Kinlochewe. A selection of the activities are mentioned below but if anyone wishes they can visit the school website and see many more photos along with additional details. We started with Assembly that had music from the Pipe Band and C for Craic, singing by Sandi MacLean and Highland Dancing by Mrs Browne’s pupils and included a welcome in English by Mr Port and one in Chichewa by Mr Hulme. There followed a roller coaster of activities in school and across the community. The visitors took part in lessons in Art, Music, Design and Manufacture, S1 SMART, Science, PE, Hospitality, Maths and English. It has been a great opportunity for our pupils to meet and work with children from a different culture and find out the things they have in common. We will all now have to consider what we have learned from the visit and decide the next steps for our successful Partnership. 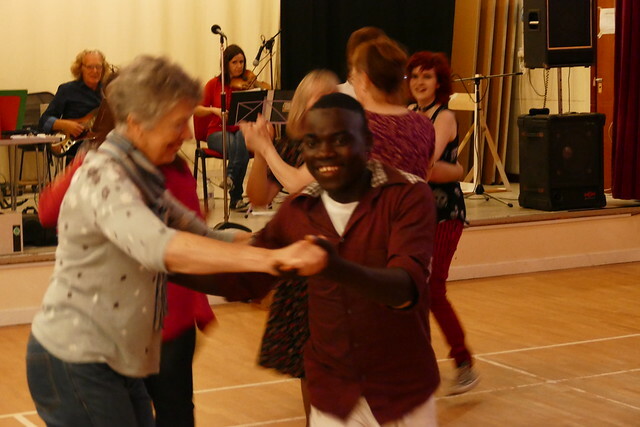 On Saturday 29th August we held a Ceilidh in the Community Hall. Earlier in the day Mr Chimtali and the group were guests of Ross County football club. Mlozi football and netball teams play in Ross County colours and the club generously invited the six visitors along with some of our pupils to watch the match against Dundee Utd. It was a great trip with the group getting taken onto the pitch for a photo-shoot. And to top it all – Ross County won! By 7pm people started to gather in the Community Hall for a very special evening of dance and music. The hall was comfortably full of adults and children and the Gairloch and District Pipe Band got the proceedings off to a grand start. C for Craic played and the Highland Dancers danced. The Malawian pupils also gave two displays of dance and performances were linked by lots of highland dances with music provided by Miss Hunter, Campbell Elder and Sid Garrioch. The Parent Council organised the refreshments and there was a raffle. Although the purpose of the evening was sociable the donations amounted to £725 and this will go towards keeping the Partnership alive. Thanks to everyone in the community who supported us during this visit. Mr Chimtali and his colleague Mr Banda have commented several times on the high level of hospitality and friendliness shown towards them. DofE Success – Eilidh Johnston has successfully completed her Silver Award. Well-done Eilidh! 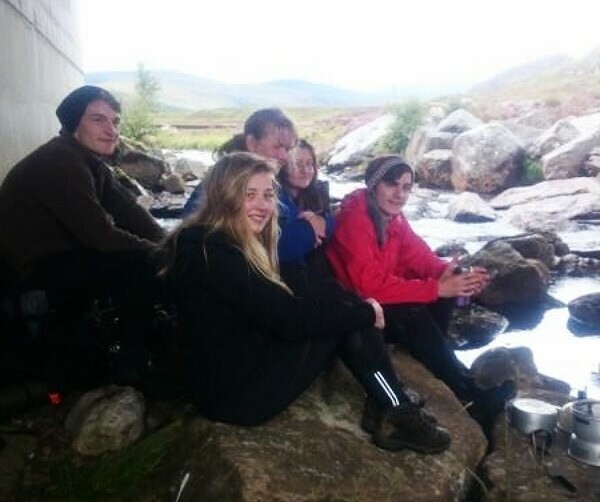 Miss MacAllister and Mr Sutherland led a Gold training expedition for five pupils (Freya Baptist, Deborah Connop, Eilidh Johnston, Calum Nelson and Joseph Smith. 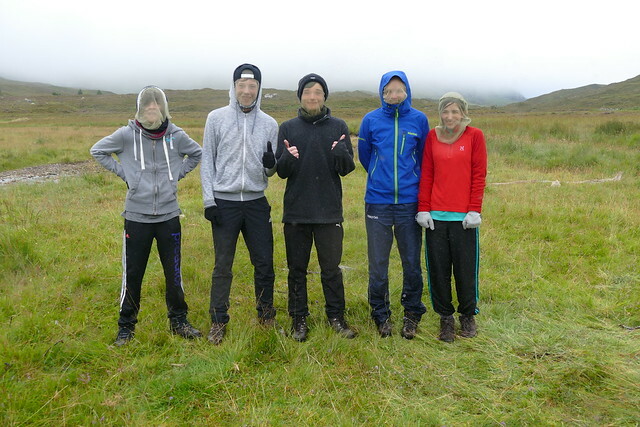 The four-day expedition took place during a very unsettled weather period with lots of rain and two days of misery brought about by hordes of midges. The pupils survived and picked up the necessary skills required to achieve successful assessment at Gold level expedition. The group were in the hills north of Black Bridge and had the opportunity to visit the infamous church at Croick where the names of cleared families can still be seen etched in the glass windows. There will be a report by S6 Head Boy Joe Smith in the next issue. Important Dates – Check out the school website or phone the school if you require information about events.